William "Bill" Alden Palmer passed to everlasting peace on November 30, 2010 at the age of 59 at Windham Hospital after a battle with lung cancer. He was the son of Florence (Hnizdo), Palmer of Mansfield and the late Kenneth Alden Palmer. He was a direct descendant of John and Priscilla Alden of Pilgrim fame. He graduated from E.O. Smith High School and the University of Connecticut. He and his brother Jim built the log cabin house in which he lived for the past several years. He was a market gardener and loved cats. He was a member and adjutant of the Sons of the American Legion, James J. Shea Post 19, Willimantic. 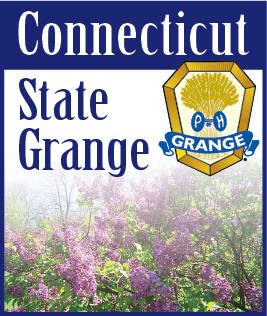 Bill was a member of the Echo Grange in Mansfield and the Pomona, State and National Grange and a member of the Agriculture Committee for the Town of Mansfield. In addition to his mother, he is survived by his son John, who is in the Air Force, stationed in Hawaii, his wife Toni and two grandchildren, Brandon and Amber. He is also survived by his brother James and his wife Pat of Windham, his nephew Michael, also of Windham and nieces Kathy and Cindy of Hampton and special friends, Tom Ward and Mary Kegler of Mansfield. His family would like to express their appreciation to the Balogh family, Buzzy, Karry, Caylin and Gracie for their care of Bill the past several weeks. He will be cremated and buried in the family plot in the Windham Center Cemetery. There will be a memorial gathering at the American Legion Hall, Rte. 14, Willimantic on Saturday, December 4th from 12:00 p.m. to 4:00 p.m. The Potter Funeral Home, Willimantic assisted with arrangements. Please visit www.potterfuneralhome.com for online memorial guest book.